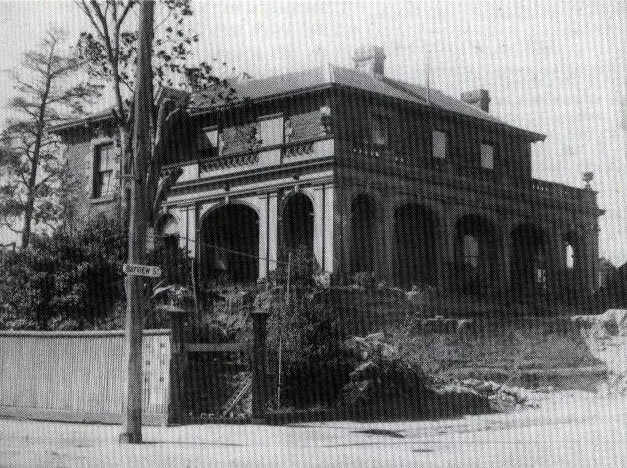 In 1841 William Rucker developed a mansion on the corner of High and Bayview Streets, Northcote, an area we now call Rucker's Hill. At the time, it was described as "the most expensive country house in the colony". It probably was never occupied by Rucker and became known as Rucker's Folly. Rucker went bankrupt and the Union Bank took over his estate. John Morris leased the mansion in 1857 and renamed it "Sunnyside" when he later bought it. Morris was a vice-president of the Northcote Health League and became a Northcote councillor. He then sold it George Clauscen (mayor of Fitzroy 1886-87 and originator of the Northcote cable tram) around 1885. Clauscen left the house in 1894. The ballroom that had been almost a community centre for 6 years was now rarely used. The Northcote Private Quadrille Assembly once held regular dances there. The Northcote Brass Band used to practise there and hold social functions. Both groups folded as men went away in search of work. E A Riches was the next owner and renamed it 'The Alpines'. There was more subdividing of land. 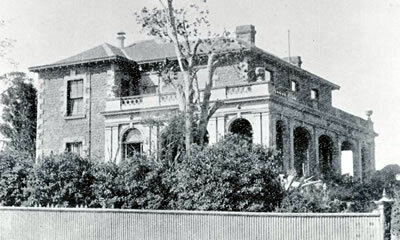 The elegant ballroom was used from 1902 till well after WWII by the Westgarth sisters and their Westleigh College (a private school) for their primary school. After Riches left, it fell into disrepair being used as a rooming house. By the early 1920s it was vacant and was demolished in 1925. The current church on the site was built 1926/7.